Nobody would dispute the contributions of Leonardo Da Vinci to the art, science, design and medical worlds, as well as others. The man was an absolute genius and changed the world forever. 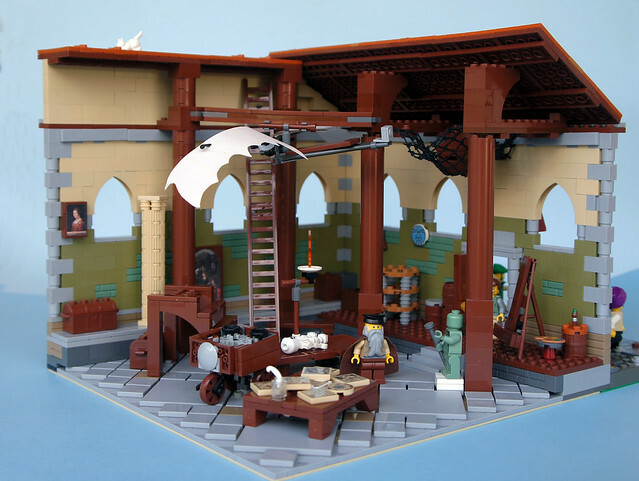 This MOC by MolochBaal imagines what his workshop might have looked like, and it's how I always imagined it. I love the fact that many of the disciplines Leonardo practiced are present, from war to fine art.